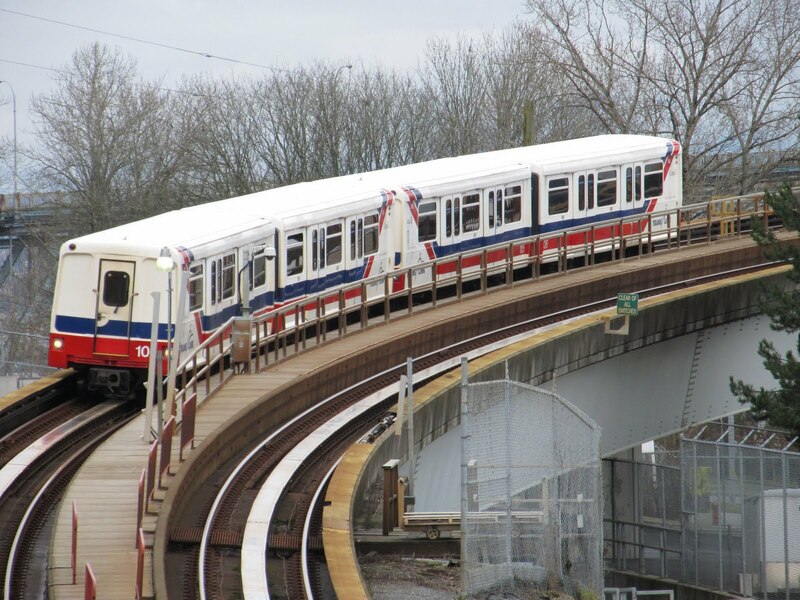 TransLink and the Government of British Columbia have signed a contract with Bombardier Transportation for 28 new SkyTrain cars at a cost of $90.7 million. The rolling stock chosen by TransLink is the (pictured) INNOVIA ART 300, according to SkyTrain for Surrey. They will be designed as four-car articulated trains, meaning passengers will be able to walk from one end of the train to the other. The previous generation Mark II trains currently run in four-car configurations consisting of 2 two-car articulated trains connected together. Passengers are able to freely walk between two cars, but not all four. On the Mark I trains, passengers are unable to move between cars at all without exiting. The new cars will be delivered by January 2016, in time for the opening of the Evergreen Line. The cars will also be used on the Expo and Millennium Lines. The contract includes an option for 28 additional vehicles and, if exercised, are to be delivered by June 2017. Adding more trains is one of the options TransLink is considering to accomodate ridership increases in the next decade. They are also considering running all of the Mark I trains in six-car configurations and adding a fifth car to the current Mark II configuration so they can take advantage of the full length of the platform.